Given that the average person moves around 11 times in their life, it’s inevitable that you’ll have one big move that requires a lot of juggling. One of the things you might have to worry about is relocating a vehicle to your new home far away. When relocating a vehicle, you need to know how to prepare it for transport. Here are the five steps to ensuring that your vehicle is prepared for the journey ahead of it. When you’re preparing your car for transport, you’re going to want to know what’s wrong with it before you send it out. If you get it in the new city and find that there are scratches or dings that you didn’t anticipate, then you might need some proof that they weren’t there before. It’s easy to forget blemishes and then get upset when they’re there after the transportation. Start by washing your car thoroughly. Have in cleaned inside and out so that you can get a good look at any potential issues. Make a record of every dent that you see. Take photos if necessary. All of the cosmetic damage you find should be noted because there’s always potential that it could get worse after transit. Find a way to date all of the photographs and the record that you’ve written. Thankfully most photos are timestamped. Tell the transporter everything that you already know about the vehicle and make your note official so that there’s no dispute later on. Your vehicle is going to get a full inspection when it arrives. It’ll be loaded and unloaded over and over again on its journey. Throughout this journey, you can make things easier on everyone if you take all of your personal items out and remove anything valuable. It’s going to be transported without being locked up, so if you have any tech items that can be detached, take them out now. Aftermarket audio or video equipment is a number one target for things going missing or being damaged. Radio faceplates or GPS units should be removed as well. The company transporting your vehicle can transport these items separately. While it might be tempting to add some personal items to your car to make moving easier, it’s a mad idea. Some transporters might refuse your car if they see it full of items. They don’t know what’s in those items and they don’t want to be liable for trafficking stolen or contraband items across state lines. Remember that the things in your vehicle are going to move around during shipping. That means that they could become damaged. Rather than adding to the weight and risking theft or damage, just clean your car out completely. One of the most common items left in cars is toll passes and automatic parking passes. This is such a small item that people don’t even consider it as something they’d ever remove. However, these tags are more powerful than you’d think. As your car crosses state lines, drives past toll booths, and past places where it could get charged, you’re going to get dinged again and again. 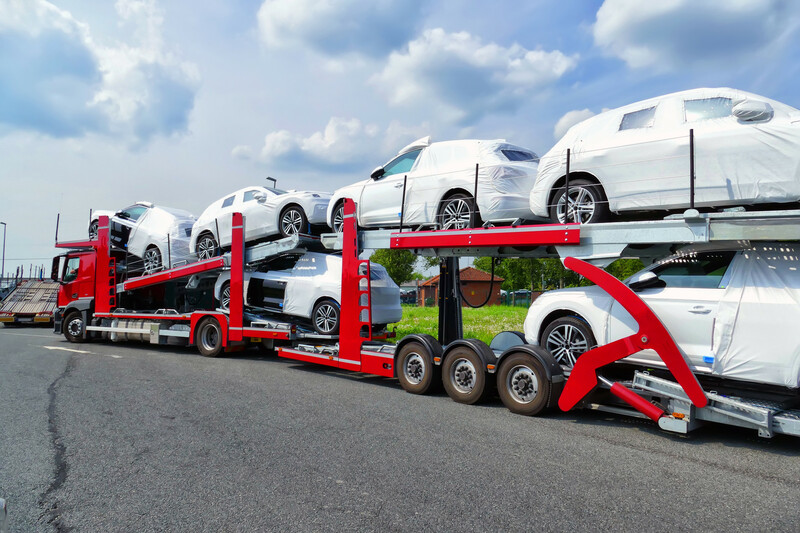 You’ll be paying an additional premium on top of the cost of transporting your car in the first place. Also, these are valuable enough items that people often misplace or forget about so if it’s stolen, the thief’s use of it could charge you for years. When it’s time to transport the car, you need to get it in the right shape. It should be in good driving condition. While you can ship an inoperable vehicle, it requires special considerations. Otherwise, there could be issues that cause delay or even damages when people try to use the car improperly. Be sure that your battery is fully charged before you ship it. You’ll also need to have your tires fully inflated. While conventional wisdom would be that you don’t want any fluids at all, you actually want them all topped off. Your car runs better when it’s well lubricated. The only liquid you don’t want a lot of is gas. Run your car down to a quarter of a tank or less. The less gas you have, the less weight that you pay for when you ship. Let the transport specialist know if there are any issues that you’ve noticed in recent weeks. A vehicle that leaks could be a problem as it could damage other cars. If the drivers need to take extra special care in getting your vehicle on and off the trailer, they need to know in advance. When you’re looking to ship your car, it needs to be prepared to get on and off the hauler. Convertibles need to be secured. The tops can’t be flapping around and could be damaged from air or debris whether they’re secure or not. However, you might want to add an extra tarp for wind protection. Just make sure it’s wind-resistant. Fold down your mirrors and hide your retractable antenna. IF there are any extra external pieces like fog lights or spoilers, take them off. Most importantly, turn off your car alarm. For more detailed instructions, Freedom Auto Transport can guide you to what you need to do. While you might think that relocating a vehicle is a challenge when you’re making a big move, it’s not all that hard. With the help of a transportation company, you can ensure that your vehicle makes the journey as safe as you or your couch might make it. If you need a rental to drive around while you wait for your car to arrive, check out our guide for getting the perfect one.